NASHVILLE — U.S. Sen. Bob Corker, R-Tenn., is questioning whether a Washington group's filing Monday of a new ethics complaint over his Senate personal financial disclosures is linked to his opposition to major Wall Street hedge funds seeking to profit off bailed-out mortgage giants Fannie Mae and Freddie Mac. Corker raised the issue to reporters in Nashville after the group, Campaign for Accountability, announced it has filed a new ethics complaint against him. The group's second complaint alleges the Chattanooga Republican and millionaire businessman concealed information about his financial stakes in two Chattanooga-based hedge funds, as well as one based in Memphis. Campaign for Accountability says its new complaint with the U.S. Securities and Exchange Commission and U.S. Senate Ethics Committee is based on new filings made by Corker after questions were raised last year about his frequent trading in Chattanooga-based CBL & Associates Properties stock. Last year, they said that prompted their first complaint. In the second complaint on the three Tennessee-based hedge funds, Citizens for Accountability alleges Corker "may have shared information — gleaned through his position in the Senate — with hedge fund managers for his [and possibly their] personal financial benefit." 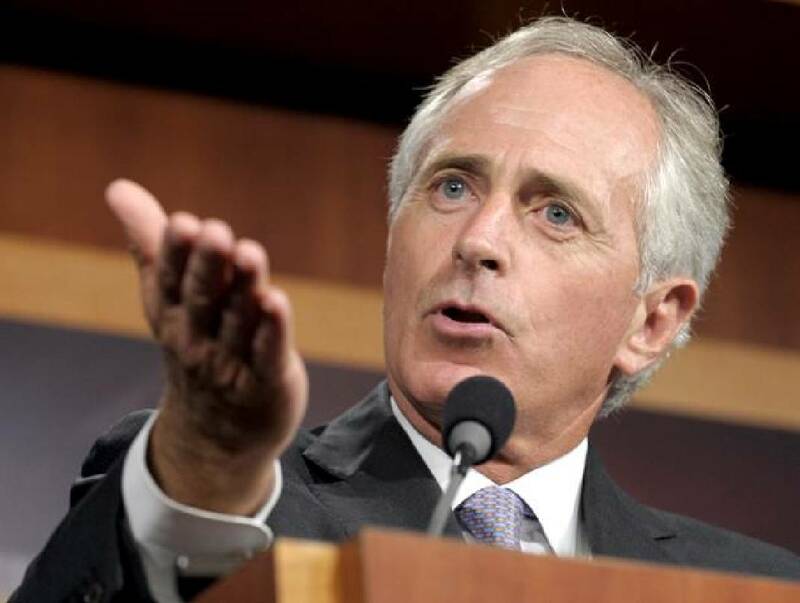 Corker is the third ranking member of the Senate Banking Committee. The senator fired back at the group's newest complaint after a speech to the Nashville Rotary Club. He aimed his ire at the major non-Tennessee hedge fund firms and their managers, tying it to Fannie Mae and Freddie Mac. "I think you're aware I'm keeping some hedge funds, most of which are based in New York and some based in other places " Corker said. "And there are billions of dollars at stake." He added, "This is a way organizations like that try to intimidate you. But I'm trying to protect the American taxpayer. I'll continue to do that. And, you know, complaints like this can be encouraged and in some cases they're paid for. So that's just part of it, but I'm going to continue doing what I'm doing." Citizens for Accountability did not respond to a Times Free Press email seeking its reaction to Corker's statements insinuating it might be getting paid to attack him. In December, Corker inserted a provision affecting government-sponsored enterprises Freddie Mae and Freddie Mac. It blocks the federal government for at least two years from selling Treasury-owned senior preferred shares in government-sponsored enterprises Fannie Mae and Freddie Mac without congressional approval. In 2008, Fannie Mae and Freddie Mac were taken into government conservatorship and the Department of Treasury purchased senior preferred stock in the government-sponsored enterprises and was given sole discretion to sell or otherwise dispose of those shares. Corker's office blasted Citizens for Accountability's newest filing as "yet another baseless accusation by this political special interest group." The group filed a complaint last year, accusing Corker of insider trading on CBL stock. The millionaire businessman made much of his money in real estate and leasing. CBL owns and operates malls across the U.S. In its new complaint, the group says that since the initial issue over his CBL disclosures, Corker has filed amendments to his personal financial disclosure forms "indicating additional potential violations of the law. The complaint says Corker has "longstanding personal relationships" with the managers of the two Chattanooga and Memphis hedge funds and it also notes managers "have donated generously to his campaigns [which] lends further impetus to the need for an inquiry." Citizens for Accountability Executive Director Anne Weismann said in a statement, "Sen. Corker hasn't just made a mockery of Senate disclosure rules, he may have committed a crime. Authorities should investigate why Sen. Corker was so intent on hiding the underlying assets of these funds that he filed inaccurate disclosure forms year after year." The Wall Street Journal, which initially raised questions about Corker's CBL disclosures, also reported in December that Corker had amended his disclosures to disclose information about the Tennessee-based hedge funds. Citizens for Accountability says that since 2004, the top employees of Gerber/Taylor, TSWII, Pointer, and their families have donated $204,020 to Corker's Senate campaigns and $75,000 to his leadership PAC.